Re-registration is now open at Holy Family School for the 2019-2020 school year for current families. Please take a moment to carefully read the information below regarding the enrollment process. Families looking to enroll younger siblings not yet enrolled at Holy Family School may include them with the re-registration of current students. Additionally, you can find information regarding financial aid applications for the 2019-2020 school year below. 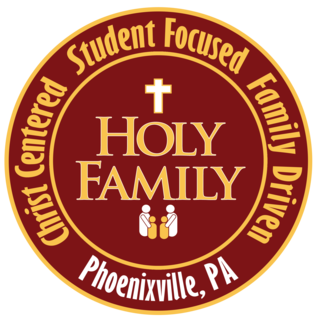 If you have any questions do not hesitate to contact the office at 610-933-7562 or via email at office@myholyfamilyschool.org. You must complete the following two items in order to re-register your child(ren) for the 2019-2020 school year. You may send a check to the office. Please note the registration fee must be paid in order to confirm your enrollment.